HAS NOW BEEN PRINTED. YOU MAY ORDER THIS FROM ME DIRECT. 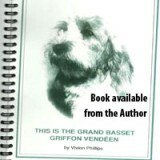 Welcome to the Home Page of Debucher Grands and Petits Bassets Griffons Vendeens. Berkhamsted, Herts. HP4 1NF, United Kingdom. Kennel Club Assured Breeder awarded the three Breeder Accolades. 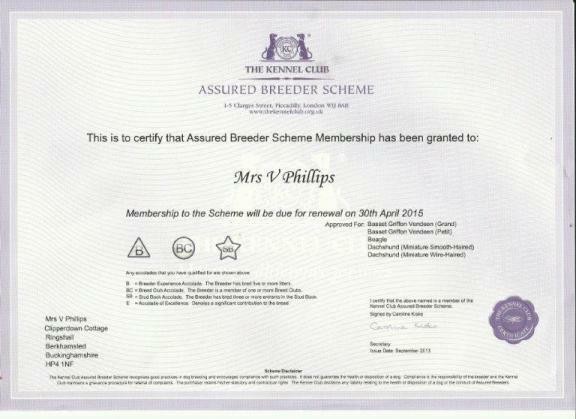 We are delighted to report that we had our Kennel Club Assured Breeder Inspection and we passed with flying colours! !